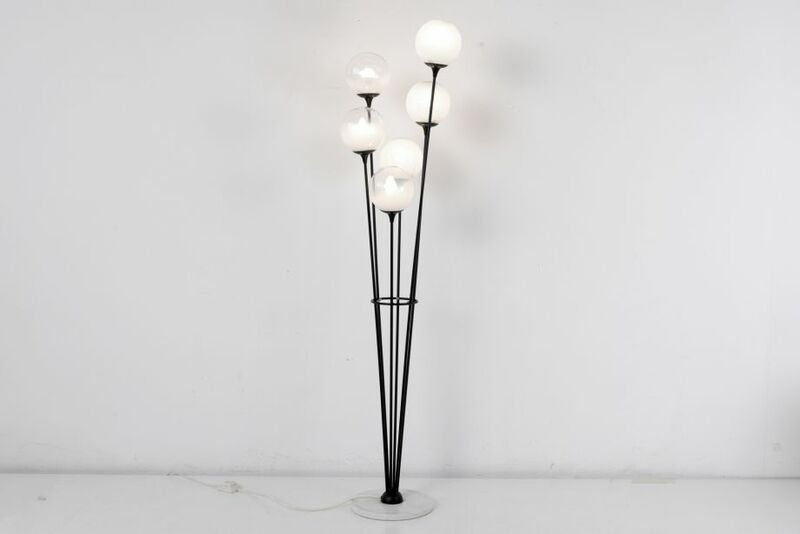 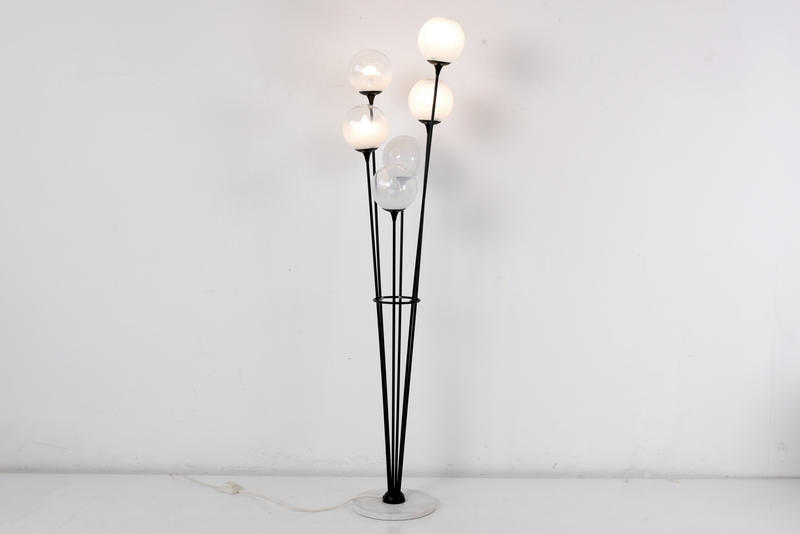 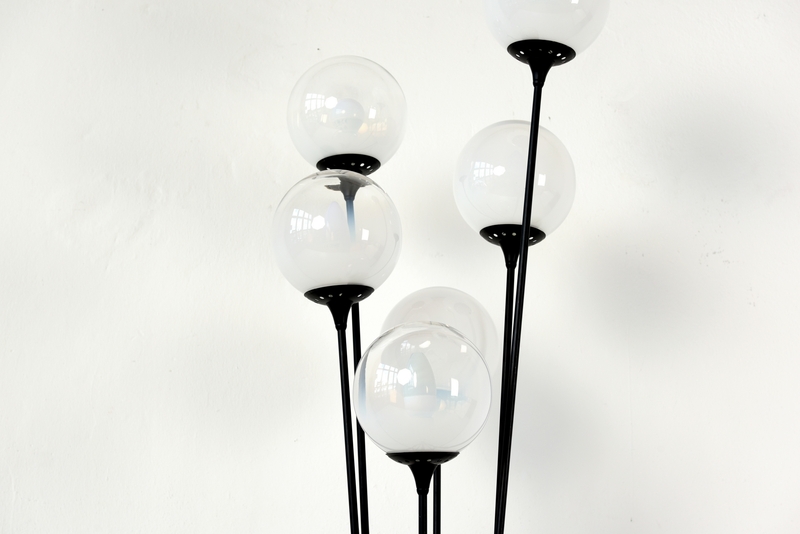 This floor lamp by STILNOVO from Milan, designed according to floral forms, shows itself playful and carefree. 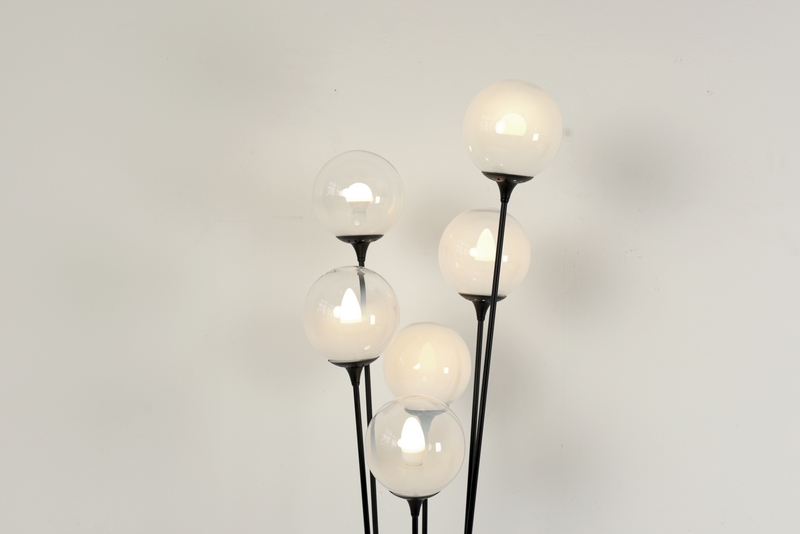 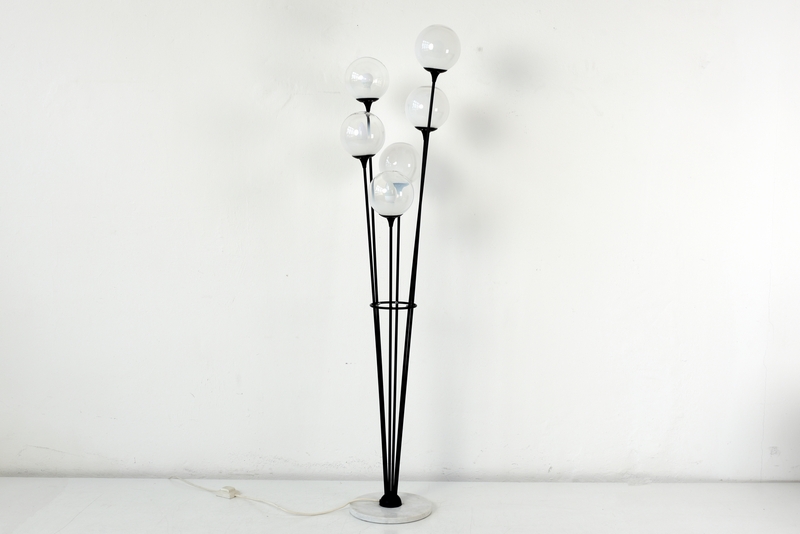 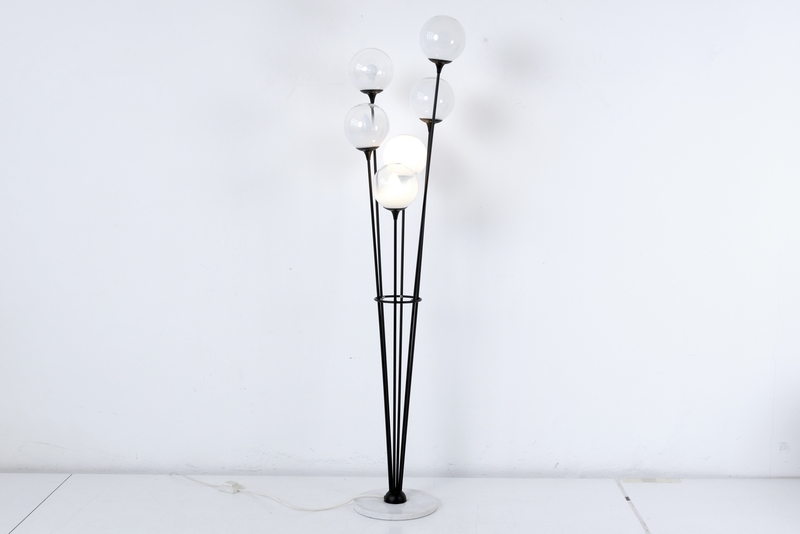 The 6 Opaline glass-balls contrast fine with the matt black frame, which concludes with the marble base. 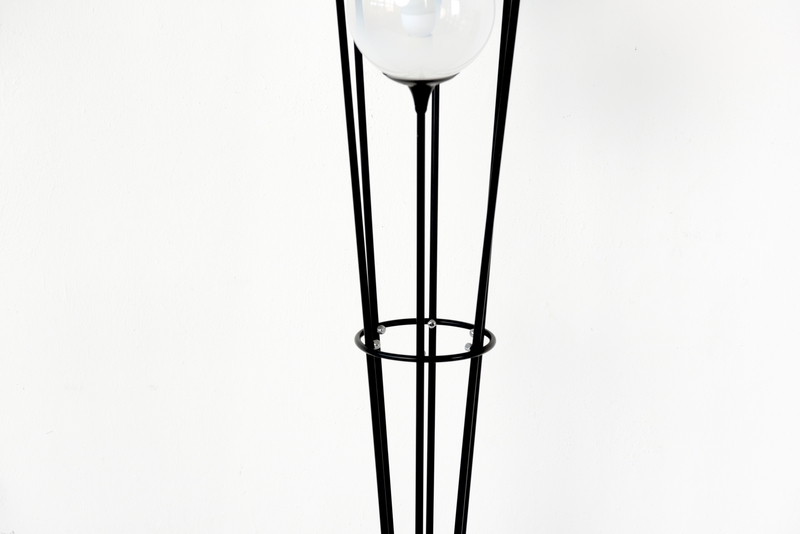 By pressing the switch, all 6 burners, then 2 + 4 burners are illuminated. 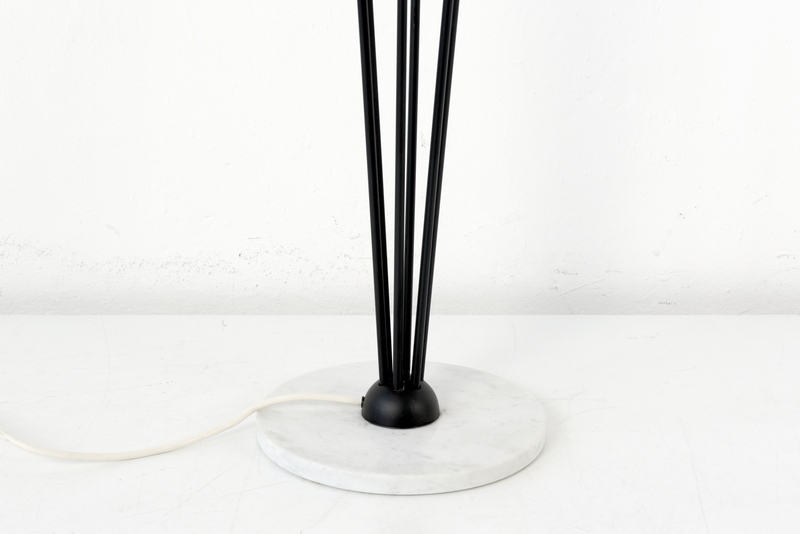 Pressing the switch again will cause the lamp to switch off. 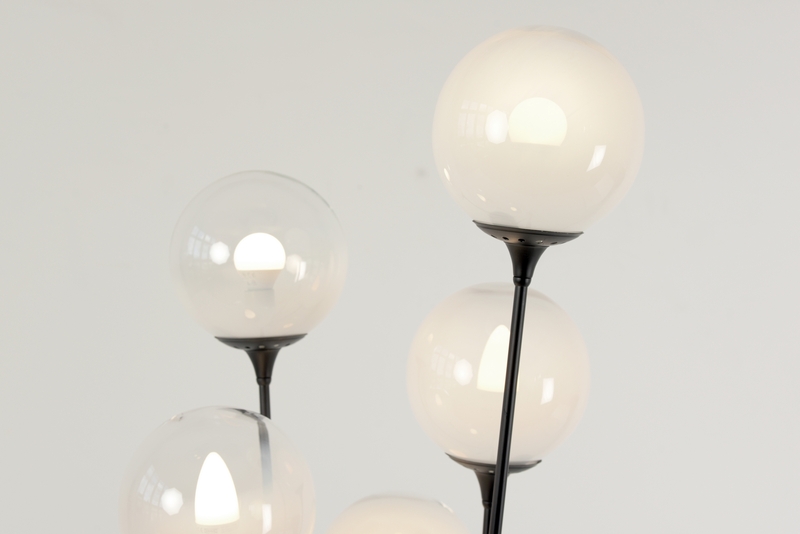 The sculptural effect of this luminous object unfolds into modern interiors, which often require a special accent.